Though management of symptoms associated with SCD typically involve medications, holistic treatments have been proven to help manage pain. With this guide to pain management, those who suffer with SCD can discover natural methods of pain relief. June 19, 2016 is World Sickle Cell Observance Day. In an effort to raise awareness about the dangers associated with chronic pain and the benefits of holistic treatments, Serenity Recovery Center of Marne, Michigan, has issued a pain management tips for individuals who are suffering with Sickle Cell Disease. Sickle Cell Disease (SCD) is a disorder of the red blood cells, which can cause episodes of extreme pain. Typically, physicians prescribe a range of medications to help manage the discomfort, but use of these drugs carries with them a potential for addiction. As such, Serenity Recovery Center has issued a holistic pain management guide for those who are suffering with chronic pain caused by SCD. In patients who suffer with SCD, the hemoglobin within their red blood cells cannot properly carry oxygen throughout the body. Without proper blood flow, patients may experience sudden and extreme pain. During treatment, physicians may prescribe anything from NSAIDs to Opiate-based painkillers. The professionals at Serenity Recovery, however, have treated many patients whose addictions resulted from prescribed pain medications. As such, they have issued a pain management guide, “in order to avoid the side effects of traditional pain medication,” including risk of addiction. 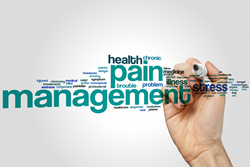 Managing pain can be a frustrating experience. With this guide to pain management, those who suffer with SCD can discover natural methods of pain relief. Using these tips, patients can avoid unnecessary use of dangerous pain medications, and the ever-present potential for addiction. Along with the desired pain relief, these dangerous medications also produce feelings of euphoria, numbness, and relaxation. These sensations are what lead to addiction to prescription pain medications. By promoting holistic alternatives, the experts at Serenity Recovery hope to help SCD patients avoid substance abuse issues. Throughout the country, millions of Americans struggle with addiction. Therefore, it is essential that SCD patients are aware of all pain management options. These holistic alternatives just might help save the life of an individual who is seeking relief from chronic pain. For more information, please visit the Serenity Recovery website, or call them at 1-855- 218-3775.